I'm wanting to get a greyed/distressed effect for my maple lams under clear glass. I have seen ppl making the steel wool+vinegar combinations and I wonder if the vinegar would mess up the bond. I see common practice is alchohol based dyes which is my back up plan if I can find dark enough of a grey. like this video, however I see where ppl say using water (like this guy uses in the tea) is sub optimal for a variety of reasons. Looking for feedback thanks guys! Re: Maple lams home dying. I wonder if black rit in alcohol mixed light would get it? You could try leather dye also. Had good luck with that on hickory but was not laminated. I used fiebings from Tandy leather. I made that color that by putting down buckskin color and letting dry then putting medium brown over top. Have not tried prefixing colors but they do have grey and black. I've used the fiebings leather dye "oxblood" and it looke phenomenal on osage. I googled that rit dye powder and got a lot of the dye shirt stuff popping up, is that the same? I would think transtint mixed into denatured alcohol would "dye" your wood lamination. 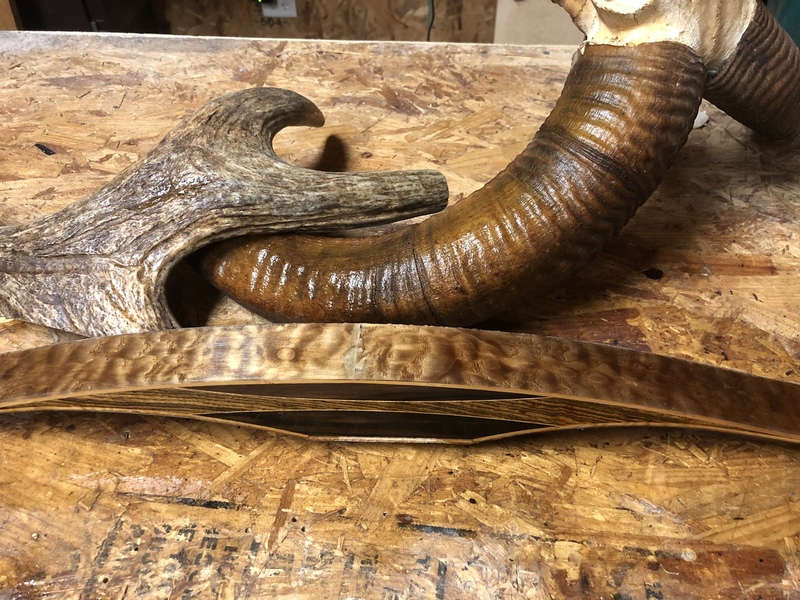 What I am going to do (one day) is to mix tint with Denatured alcohol and air brush it onto my wood lams..even use different colors like brown, red , black, tan to make faux Rosewoods?? it would be an experiment and may look crappy due to bleed over...I may be able to build bows again around January so maybe I can try it then. I have put a drop or two of black transtint in Krystal spray finish, it made a clear slightly gray finish over a maple riser bow. I love how this grey turned out. Applied a medium coat and wiped after 3 minutes. I picked up some red at wallyworld for 4.50. 3$ cheaper than online. Experimented with a base coat of grey lightly sanded then reapplied the red over and put on a little finish. What dye did you end up using? Looks good!! Binghams sells a water based dye. I think they have grey too but can’t remember for sure. Just be sure to let them dry adequately. This is their walnut dye on quilted maple. An elitist mentality creates discord, even among the elite! "I went jackalope hunting but all I saw was does!" Luck is when preparedness meets opportunity, I just need more opportunities!